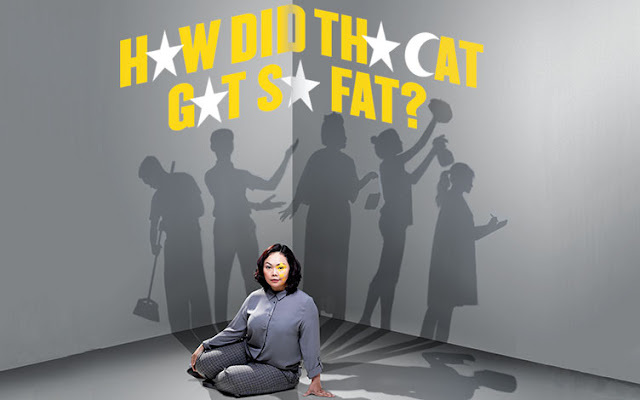 It's been 13 years since Zizi Azah wrote her debut play How Did the Cat Get So Fat? and her words still jump off the page. 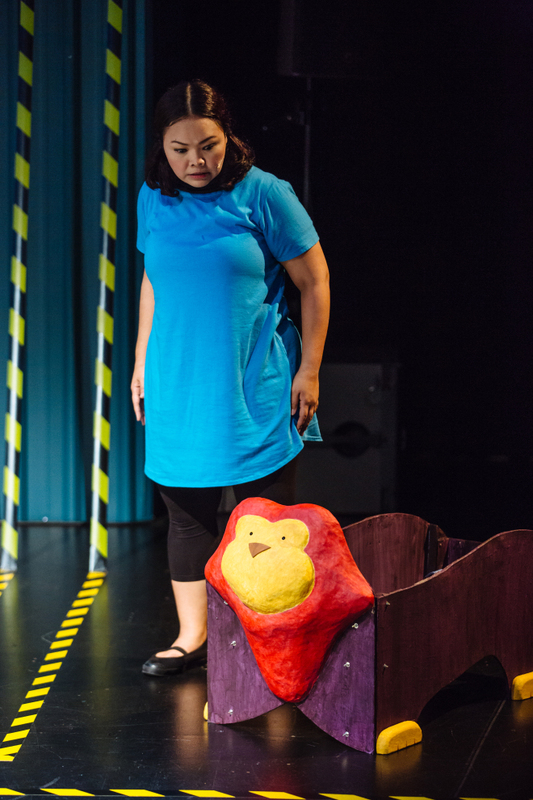 From a simple first staging in 2005 to an appearance at the Singapore Fringe Festival two years later, this charming monologue comes into its own in a brand new production as part of the Esplanade's female-centric Studios season. Cat is performed by Siti Khalijah Zainal, who reprises the role she originated over a decade ago. Zizi has made several updates to the text, rewriting a couple of scenes and including references to modern technology and current affairs. The plot remains the same: nine-year-old Fatimah takes a fantasy trip across town on a coin-operated lion called Mr Minisman, encountering various people along the way. The key change director Tan Beng Tian, co-founder of theatre troupe The Finger Players, brings to this staging is that Siti is not alone: she shares the stage with a variety of unique puppets (designed by Loo An Ni) which she both manipulates and inhabits with gusto. An overworked, under-appreciated Indonesian maid is embodied by a mop. A Muslim entrepreneur who seeks to marry religion with fashion turns into a trailing hijab. A snobbish tai tai is brought to life as a massive, clucking hen. The quirky and thoughtfully conceived puppets add a rich visual aesthetic which augments the text. The narrative is structured after tenets in the national pledge like peace, progress and religion and emerges as a canny interrogation of the Singaporean psyche and way of life. As the opening audio montage reminds us, these are words uttered daily by thousands of kids but do we know what they mean? Do they hold any weight? Throughout the text, Zizi explores the experience of the disenfranchised underclasses, tackling topics such as inequality and privilege and making powerful critiques about politics, culture and religion. These issues only emerge all the more poignant when seen through the eyes of a child. Why do we treat our domestic helpers no better than slaves, giving them scraps of food and barely any rest? Why is the working world so ruthless, forcing a bright engineering graduate out of a job simply because she cannot play the game of office politics? And is it any wonder that an elderly cleaner struggling to make ends meet shows more kindness to a hungry child than a wealthy lady of leisure? It's easy for something like this to come across as didactic but Tan approaches each scene with a perfect mix of honesty and humour. The story is also brought to life by the incandescent and versatile Siti. She switches between accents, channels deep emotion and skilfully conjures up scene after scene with conviction, keeping us rapt. 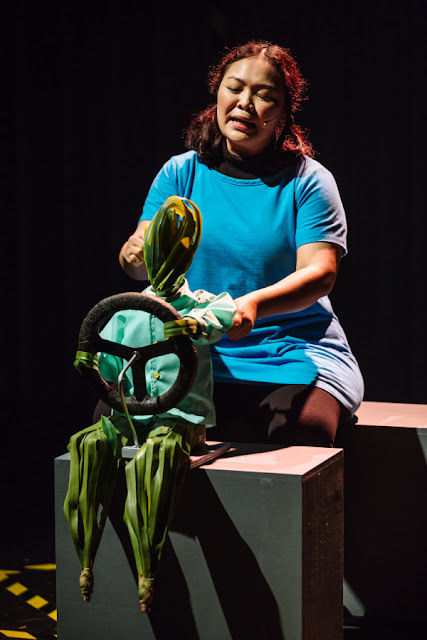 Siti brilliantly conveys the journey of an earnest, innocent child struggling to understand the ways of the world and why people behave the way they do. When she makes to recite the pledge at the end, it is with the knowledge that life is an ugly, messy and complicated business. The sequences are broken up by a silent 'diatribe' between a disembodied eye and ear which recurs throughout the narrative. This conversation between two entities waiting for the end of the world, played out silently on two TV screens, feels somewhat incongruous to the storyline and rather contrived. There is a meditative, Beckettian aspect to the interludes that is beautiful and tragic in its own right but it's hard not to feel that this ultimately interrupts the dynamic thrust of the main performance. Chan Silei's set echoes the hardness of this concrete jungle we call home, with corrugated backdrops and ever-encroaching safety tape marking out clear areas on the ground. It's an apt reminder that one has to stick to one's designated space and how society does not allow for those who choose to venture beyond those confines. It's up to us to make that valiant first step in order to effect change. But do we have the strength to do this?